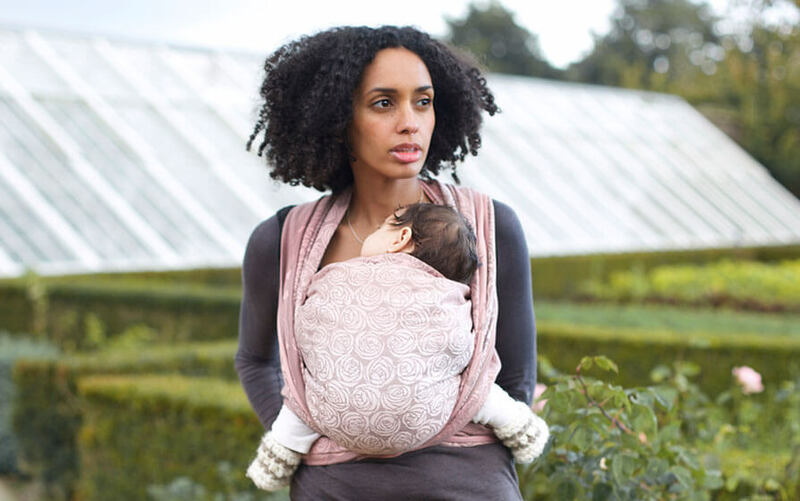 Baby slings are a great tool for busy parents and provide many wonderful benefits when used correctly. It is important to read the instructions carefully on receiving your new sling and to follow the safety advice given. Learning the art of carrying is a rewarding process that will provide you and your child with priceless bonding time. the ‘perfect carry’ the first couple of times; as long as your little one is secure and in a safe position you are doing great! yourself with the safety information below, as well as the following tips for getting a comfy and safe carry. Your woven sling should feel like a bandage; too loose and the material will sag and baby will not remain close to your centre of gravity. This means baby will not be held securely and it will be uncomfortable for you both. 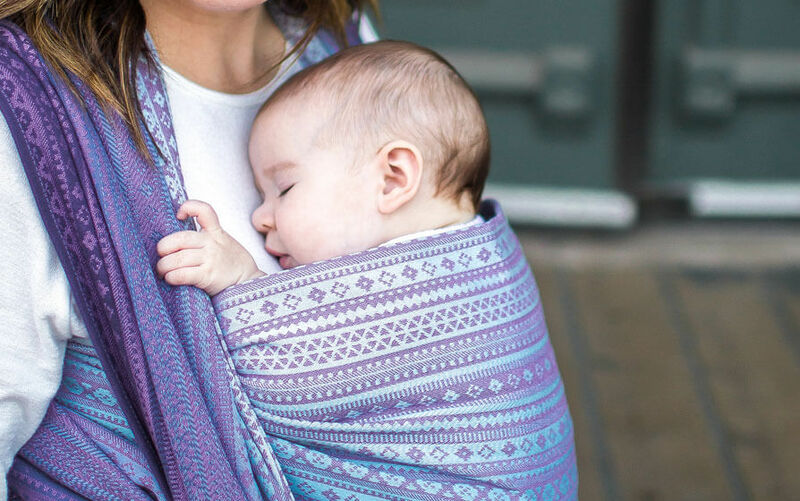 If you find your baby is pushing away from you, this may be because the wrap is too loose and they are not feeling secure – trying tightening the wrap little by little until they settle. Creating a good ‘seat’ is also important for comfort and safety, in every you should make sure the fabric is spread from knee pit to knee pit, with your little one sitting securely over the tight band of fabric. 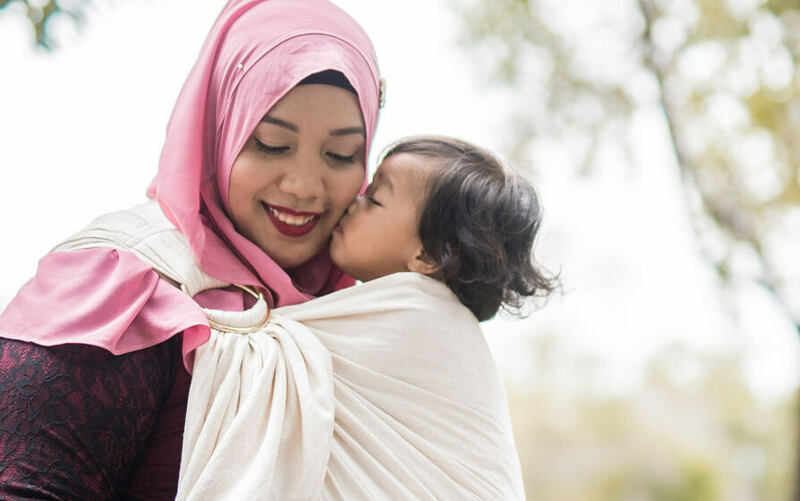 When you have finished tying your wrap or sling the most important steps are to check your little one’s airways are clear, that your sling is tight and secure and that you are comfortable taking your hands away from baby. If you are not comfortable doing so then your sling will need tightened & adjusted. The TICKS guidelines provide an easy and comprehensive checklist follow. get used to the feeling of being in the sling. 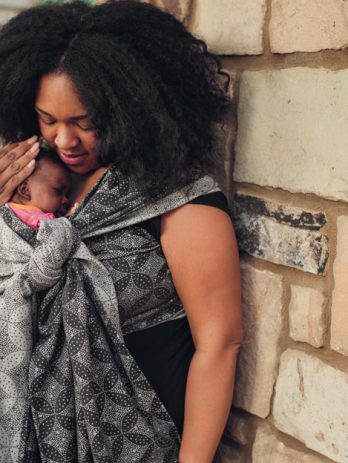 There are many ways to use your woven wrap and a huge variety of carries you can do with each wrap length. Choose one carry to begin with, we suggest the Front Wrap Cross Carry, and practice that until you have mastered it. This way you will learn about how to work with the fabric to spread and tighten it well. 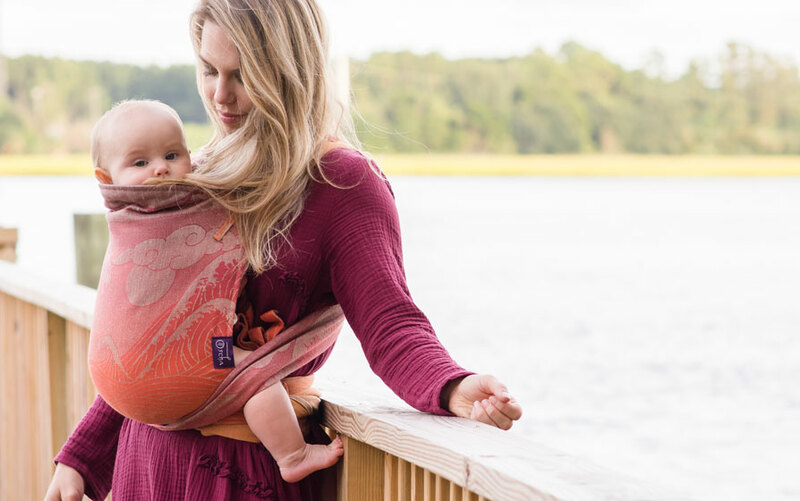 There many different carries you can move on to once you have mastered the FWCC, these may provide a more comfortable carry as your little one grows. To see more tutorials you can visit our Youtube channel or join Clan Oscha for more advice. 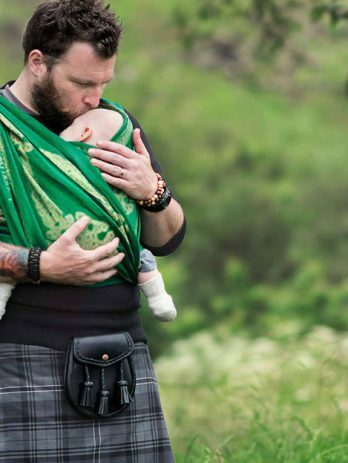 If you are trying back carrying we suggest you seek assistance from a Babywearing Consultant, and practice over a bed or another soft surface while someone is there to help you. Ring slings are perfect for quick ups and downs, once set up you can leave the rings threaded ready for the next use. 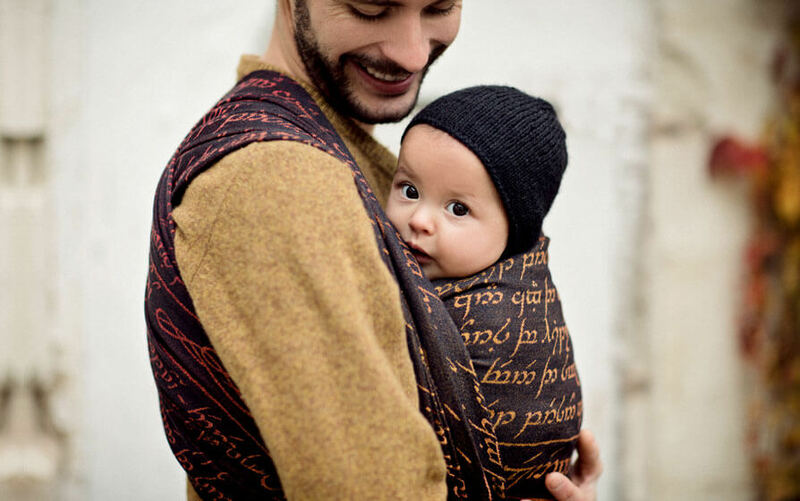 They can also be used for longer carries, however as they are positioned on one shoulder, this may not remain comfortable as your little one grows. Ring slings are most commonly used for hip and front carries, although back carries with toddlers is possible. Once you have mastered setting up the rings, you will soon find this a quick and easy sling to use! The Cairis is a simple and easy to use half buckle carrier. Secured at the waist with a buckle, the carrier is then adjusted using the wrap straps which mould around you and your child. 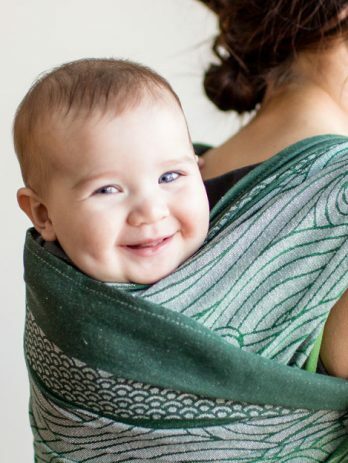 Similar to woven wraps and ring slings a little adjustment is needed to get the perfect, comfy carry but after a little practice this will be second nature! Use common sense when using a sling; your baby’s safety is your responsibility. Avoid strenuous activities when wearing your baby. Be aware of any objects your child can reach, particularly anything hot or sharp. When using a wrap, always tie securely with a double knot. Check your sling for any signs of wear and tear before each use. Stop using immediately if you notice any damage. Do not use in place of a car seat. Exercise caution when near open flames. Do not operate machinery, drive a vehicle or ride a bike when using a sling. Do not leave a sling around your child unsupervised. Need some more advice? Please email us on info@oschaslings.com, or join Clan Oscha to ask the Oscha team or a member of our community.